Most of my ham friends know I’ve been a devoted listener of the SolderSmoke podcast for some time. Bill Meara N2CQR and Pete Juliano N6QW make a great team discussing the building and operating of all manner of homebrew, boatanchor, and QRP gear. Their enthusiasm is obvious and they really give the listener a sense of confidence that it just might be possible to really build something yourself in this modern age. Building components and constructing circuits is to me the essence of ham radio. I’ve built small kits like the N0XAS Pico Keyer from Ham Gadgets and similar odds and ends, but never any “real” ham gear. I’m kinda like the average Joe that watches the home remodeling show on TV and thinks it’s cool to restore the 100 year old house, but lives in a newer house with little maintenance. It all sounds glorious, but you have no idea where to start. Enter the Michigan Mighty Mite. 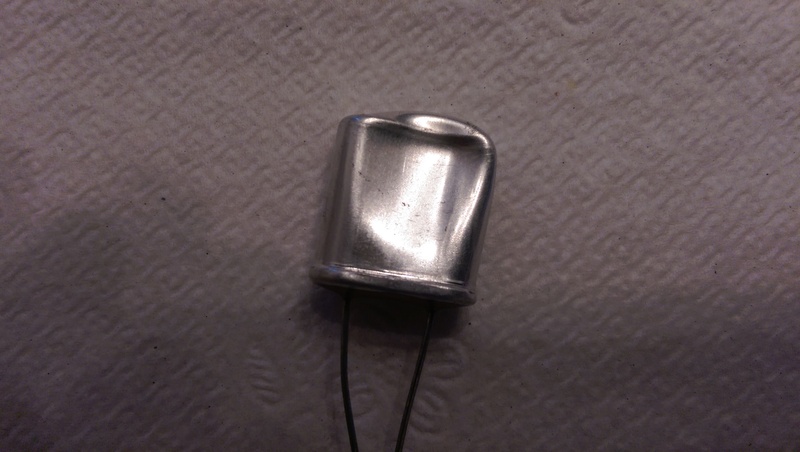 This simple transmitter requires only seven components and produces around 500 mW RF output. To up the ante Bill sent out the necessary 3.579 MHz colorburst crystal for free to anyone who emailed him a request and promised to use it. 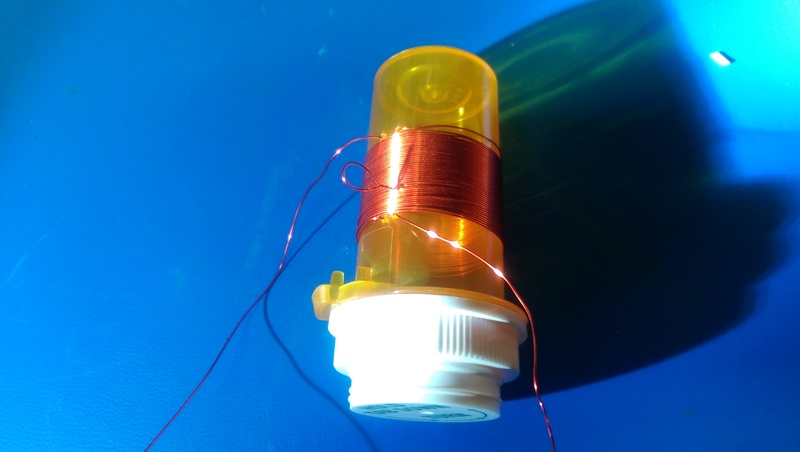 Pete built the circuit and added some pro tips of his own on MMM construction on the blog. Now this seemed to be a project I could handle! I fired off an email in short order. My crystal got torqued by the USPS! What arrived was something of a disappointment. Evidently USPS sorts mail with a steam roller. My precious crystal looked like momma worked it over with a rolling pin! This depressed me enough that I delayed building the transmitter for some time. I panicked and purchased a whole bag of crystals, just to be safe. 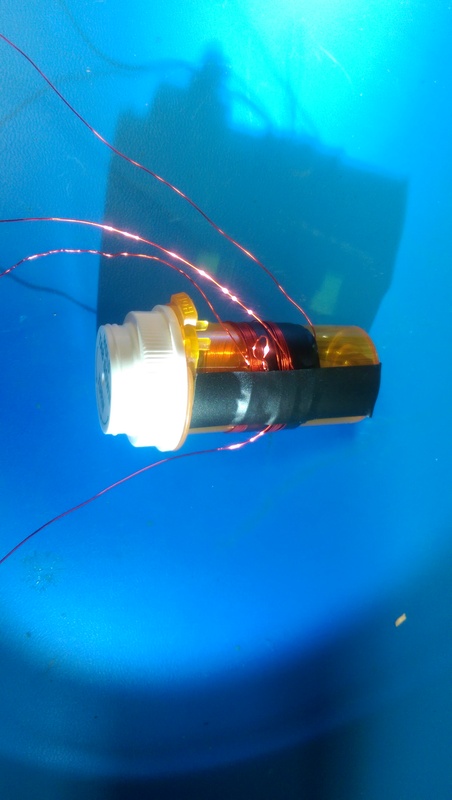 Eventually I turned up some magnet wire, a pill bottle and the necessary capacitor and resistors. The remaining air variable cap was ordered from Amazon. Turns out they have all manor of useful materials, who knew? Second winding over the first goes to antenna and ground. and thought I’d cut off a finger or something while in the mad scientist lair. Much to her dismay, it was only a nasty CW signal emanating from the Flex speaker. She did humor me by going out to see the marvelous project before asking me what I was going to fix for lunch. So where do I go from here? I have a small piece of perfboard on the bench. I guess I should assemble it on that in a proper arrangement. My friend Brian KB9BVN has requested a QSO but I’ll need to build a low pass filter to knock down the harmonics. No sense of incurring the wrath of the FCC and homebrewers everywhere. My next project is a small regen receiver and the Ugly Weekender and Ugly Weekender II combo. Both of these come from old issue of QST. I have the circuit boards from Far Circuits and plan to build them with the boys. Might as well infect the next generation with a case of “the knack” if at all possible.